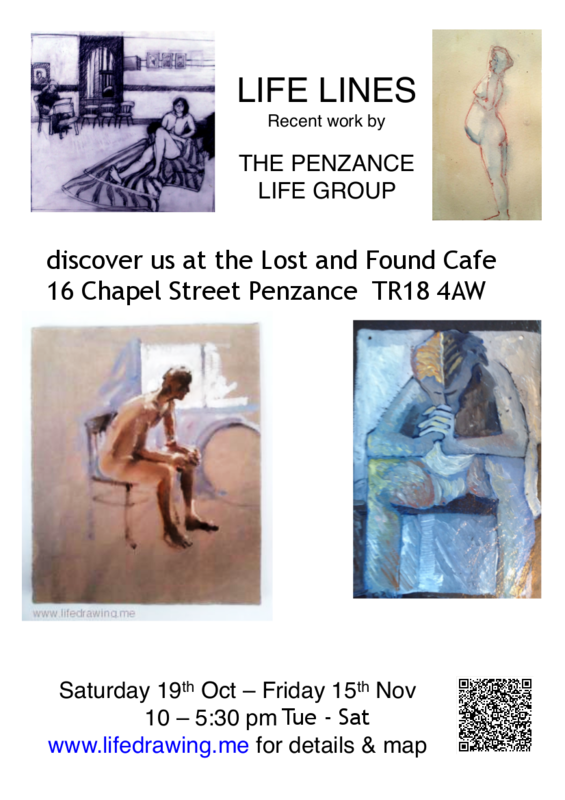 The Penzance Life Drawing Group are happy to be holding a group exhibition of recent work, at the popular Lost and Found Cafe in Penzance's chic Chapel Street. 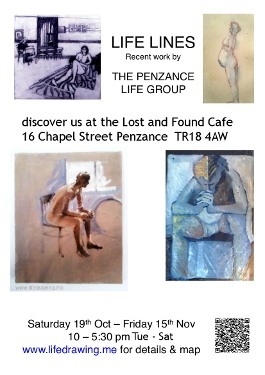 Our busy Private View evening was most enjoyable, and the exhibition runs for a full five weeks. Yes the exhibition has been extended by a week and now ends on Thursday 21 November 2013.
about 50m downhill from the Union Hotel and the Art Shop, and directly across the street from the tobacconist. 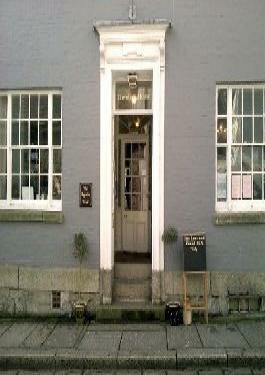 Hypatia House are upstairs here, and the lovely Lost And Found are also available for function hire. 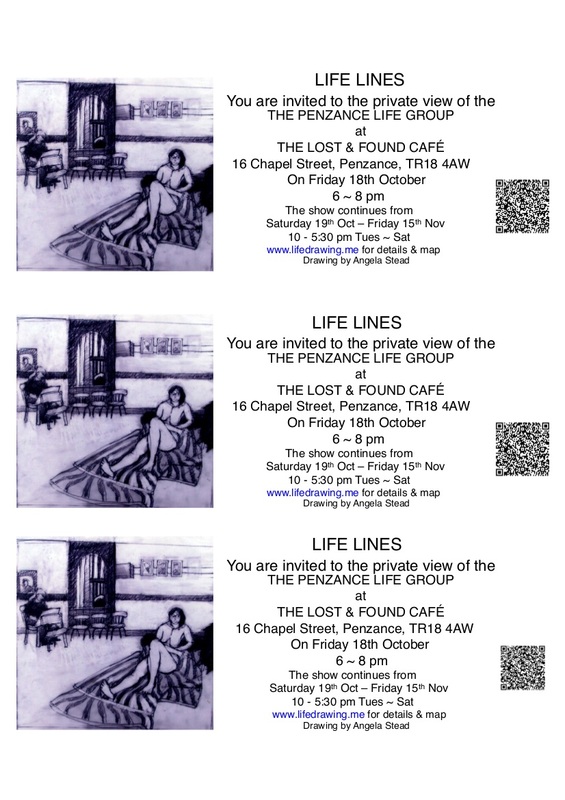 You can also print invitations for friends and art lovers too - everyone is welcome. FOR PRESS INFORMATION: please see the Press Release. Chapel Street is home to a number of galleries and boutiques featuring contemporary art from Cornwall, as well as from the Newlyn School and the St Ives School.